Zhenghui Wen has obtained the Master degree at the Microchemical Engineering & Technology Group at Dalian Institute of Chemical Physics. His master dissertation was carried out on the topic of nitration of trifluoromethoxybenzene in microreactor under the supervision of Prof. Guangwen Chen. 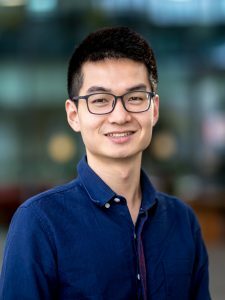 Currently, he is a Ph.D. student at the Eindhoven University of Technology with the Micro Flow Chemistry & Process Technology group, under the supervision of associate prof. Timothy Noel.